picking up a poisonous snake by the wrong end." Years ago, when I was in residence at Insight Meditation Society, my Dharmabum Buddhy Jimmy grabbed me by the shoulders, and with eyes as big as saucers, asked me "Have you had a direct experience of the VOID?!" "Damn!" I thought. The stark horror in his voice didn't incline me to want to do any such thing. Unlike Jimmy, at that point I had not spend much time with the Teachers and Teachings of the Tibetan tradition where the term the Void (or Great Void) were commonly bandied about. Although I'd read a couple of translations of the Tibetan Book of the Dead, my wanderings through the Yankee Buddhist world of the 70's and 80's had primarily been focused on Zen. Like Jimmy, though, I was then drawn to practice with the folks at IMS, who drew their inspiration and practice from teachers in the Theravadan tradition. There, Nirvana seemed to be a more palatable ultimate destination. The term shunyata, most commonly translated as "emptiness" or "voidness" seems to freak a lot of folks out. It doesn't seem like a particularly appealing final resting place. At age 72, having continued to peer into this particular diamond from every direction imaginable, it's become quite clear to me that the teachings regarding shunyata, expressed through the teachings of Pema Chodron and others -- and another 25 years of taking time to sit still doing nothing on the zafu for at least an hour most every day -- have been gently and inexorably transforming me. More and more, these teachings have grown from mere theory into an ongoing Practice. 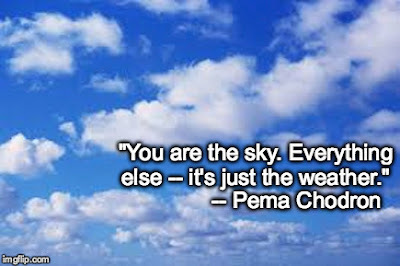 In a recent on-line course, Pema Chodron used the term "positive groundlessness" to try to capture in words what the actual heart of shunyata may be. At the time she said she wasn't convinced she'd continue to use that term, she was just "trying it out." That, in itself, is a great teaching. It seems clear to me that what is, is beyond words. As it is, the term "positive groundlessness" works for me just fine these days. I often find a sense of wonder and great joy as I relax, more and more, into the exquisite free fall that constitutes Life as it is. As Practice has deepened, I've found that when I can actually stop for a moment and let go of any expectation of getting something (or even an idea of what that something might be,) and actually feel what is coursing through every cell of my being in each moment, what IS becomes self-evident. I can't be holding onto anything at that point. I have to remain empty handed. This is the Strait Gate that Yogi Jesus alluded to toward the end of the Sermon on the Mount -- after he pointed out the various ego trips that we all are prone to manifesting ad infinitum. Self-serving ego doesn't cut it. As Chogyam Trungpa once said, "Enlightenment is the ego's ultimate disappointment. Of course experiencing that is easier said than done. Most of us are conditioned quite strongly to be self-absorbed in doing most anything except stopping to truly let go of everything (especially the thoughts going through our head), and being present to our ongoing experience with all our senses engaged. Although many of us may have had a few glimpses, it seems to takes a serious commitment and some effort extended over a period of time to finally realize that this is It. At a certain point, you know that you don't have to die to go to heaven. With Practice, you see for yourself that all the stuff that Buddha and Jesus and Lao-tse and a host of others have been talking about, even been willing to die for, is True. Life is a sacred miracle. We are inseparable from infinity, constantly in the embrace of the One Love -- whether we realize it or not. So. How do the Mahayana Buddhist Teachings on shunyata, or emptiness, fit into all of this? At a certain point, we find that in order to actually open to the experience of Absolute Being, we have to open to Absolute Non-Being as well. We also find that we can't grasp onto either of these concepts, because neither of them can describe what is really going on here. The Ineffable Mystery, simultaneously splits the difference and mends it. In actuality, the Truth of the Matter, what Buddha called the Middle Way, is beyond words. What Is and What Is Not are not two. They are the warp and weft of the Sacred Tapestry that we are collectively weaving in every moment. You can't have One without the Other. The more we melt away the hard-headed clinging to strong opinions about what we think is true at any one moment -- and melt away the hardness of heart that we've developed in a misguided attempt to protect ourselves from working with Life as it is (which includes all those pesky and sometimes troubling Others) -- the easier it gets to appreciate the inherent joy and wonder that is ringing silently in the midst of each moment. Of course, it is true that the thought of non-being itself can be scary as hell. The thought of our inevitable demise -- Death -- is only one aspect of this seemingly frightful proposition. In our usually bipolar quest to be both free and secure, that idea that there is really nothing lasting and permanent to hold on, doesn't sit easily -- unless we take time to Sit with It. Our whole ego dance is based on the impossible task of trying to shore ourselves up against the ongoing uncertainty that Life presents as part of the fabric of each moment. In a fitful (and primarily subconscious) attempt to prove ourselves to be real, an essentially independent entity of some sort, we have amassed a whole litany of thoughts, feelings and behaviors that, ultimately, will never provide either the freedom or the security we are grasping for. This operates on every level imaginable. We grasp at material objects, sensual comfort and pleasure, approval and appreciation, status, reputation, being right, wielding power, and as Pema Chodron's teacher Chogyam Trungpa repeatedly pointed out, we even grasp onto Spiritual Practice as a means to secure a foothold in the endlessly shifting sands of time and space. Even at the level of raw sensory experience we have mostly been conditioned to believe and experience the world as a solid objective reality, "out there" essentially separate from who we are. Yet, even modern physics doesn't support that proposition. Even if we disregard such things as "spooky action at a distance" and the other fascinating experimental findings of Quantum Physics, our technologically and mathematically enhanced "eyeballs" have made it quite clear. 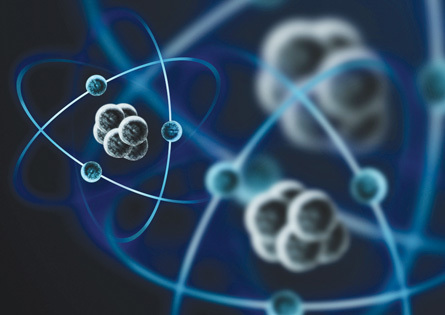 There is actually a lot more space within the atoms and the molecules of the stuff we see, hear, taste, smell, touch and think about than anything solid. The rock that we pick up to throw (not to mention the rocks in our heads), are no more than swirls of energy that we have learned to perceive in a certain way. We pretty much believe that "seeing is believing" when, in actuality, it is clear that the opposite is just as true. Even at the level of our conditioned perceptions, we are constantly creating and grasping the "image" of solidity to hold onto where no such solidity fundamentally exists. All this grasping and clinging is totally understandable, of course. It's all part of the human condition. And growing up as we have in a patently materialistic society, with few, if any, role models for Practice, we are quite fortunate to come across these Teachings at all. To actually come to embrace the ideas and adopt the practices that help cultivate the ability to navigate what Pema Chodron calls the "fundamental ambiguity of being a human being" is a rare and precious gift. Being able to really dig it is icing on the cake. I don't know where my old Dharmabum Buddhy Jimmy is these days, and of course, my memory of that interaction may include a lot of projection about the "horror" he had experienced in encountering what he thought was the Great Void. 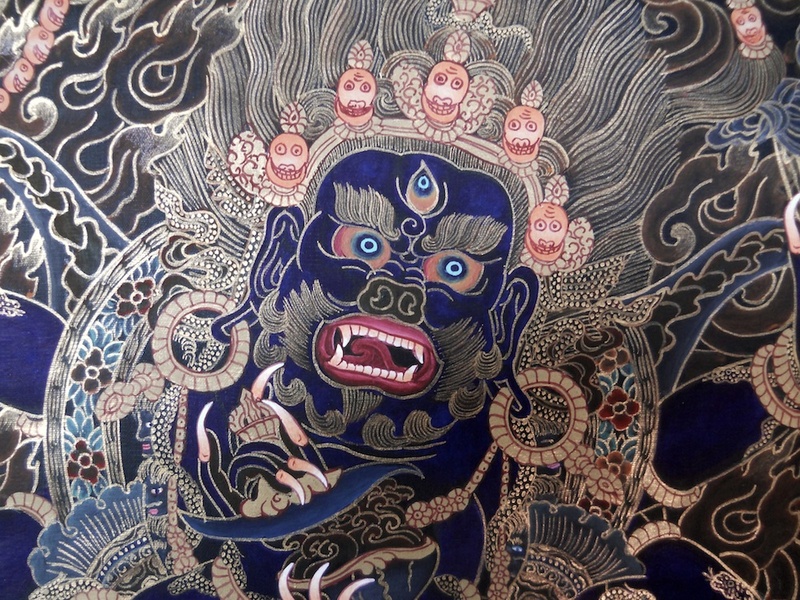 (I'm thinking he may have had Mahakala whispering in his ear). Yet, if I meet my old friend again in some dimension of time and space to somehow recreate that scene, my imagined response would be to grin and proclaim. "No sweat man. The Void is Full of It!" Just wow. I think Pema's terminology "positive groundlessness" recognizses a very crucial distinction that is necesary to avoid some confusion that can arrise surrounding this most difficult and important concept. If you have the opportunity, embracing the void should not produce the dead ended nihilism that some western philosophers assume. Yet it is quite the opposite of the retreat into a fantasy land of "hope" promoted by congregations of all descriptions lining the streets of most towns. Avelokitesvara is watching and waiting for you with love and compassion. What's left of you will be astonished.